Home > Archive by Category "Esports Lawyer"
Sports can bring people and communities together in ways nothing else can, people who have never met and have nothing in common but for the love of a game or, as is often the case, a team. It’s truly something powerful. Unfortunately, every now and then you’ll see the flip side, and somehow the pitch action is taken into court. One of the most recent ones came from DC Comics, when they decided to sue Valencia CF, a Spanish soccer team, for unrightful use of the bat symbol, which is used in the club logo. However, it seems like the odds of this ending in favor of the American comic book publisher are not very reliable. Valencia CF has had a bat in its logo since the club foundation, 100 years ago, in 1919. Meanwhile, the first Batman comic was published in…1940. DC itself was born in 1934, 15 years after the Spanish sports emblem. Still, the company decided to fill papers to the Office for the Harmonization of Internal Market, which is in charge of the European Union’s trademark registration process. Thinking about this, we’re going to look at five of the most bizarre sporting lawsuits. Enjoy the rest but, please, hold your horses and do not get any ideas. It’s the 2010 TPC Boston and you’ve bagged yourself tickets to see your hero in the flesh. Exciting times. That’s the scenario Jason Goodwin found himself in as Tiger Woods came to town. People do strange things to stand out from the crowd – some create signs and hold them aloft, some run beyond boundaries for their five minutes of fame and others dress in enormous tiger costumes. Okay, just one person. Unfortunately, for Goodwin, Woods’ golfing partner, Angel Cabrera, requested he was removed from the venue as his outfit was causing a distraction. An outraged Goodwin took a lawsuit to small claims court in search of damages to the tune of $7,000. It’s not known if he won or not but it’s safe to say he was one Tigger that ended up feeling a little Pooh! In 2005 NBA star Kobe Bryant was seemingly making a last-ditch attempt to gather a loose ball when he ended up amongst the expensive courtside seats and more specifically in a collision with Memphis Grizzlies supporter Bill Geeslin. Geeslin was adamant that Bryant made a deliberate attack on him, landing a forearm smash leaving Geeslin with a ‘bruised lung’. Sounds like a reason to get grizzly. Three years later Geeslin passed away – presumably of unrelated circumstance – but his family didn’t stop and pursued Bryant for $75,000. 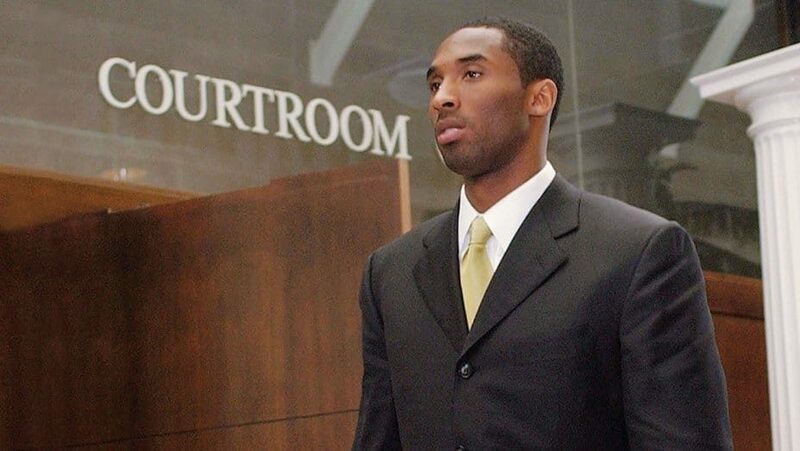 Bryant settled out of court after becoming fed up of the ongoing saga. In 2009 sporting legend Michael Jordan was inducted into the NBA Hall of Fame. Jordan and Chicago Bulls go together like steak and chips and food store Safeway saw an opportunity to exploit Jordan’s success in the Windy City running a coupon that gave money off a steak. The chain chose to use Jordan’s name in their promotion – something he hadn’t given permission for. Safeway offered Jordan over $120,000 but his legal team challenged and squeezed out a settlement of nearly $9 million. Now that’ll buy a quite good steak! Oh dear, we are not painting Chicago in good light. Chicago Bull’s Derrick Rose suffered a serious knee injury and was out of action for a long time. Some fans were wishing him a speedy recovery, other were willing him back to help their team. Not Matthew Thompson. Poor old Thompson, who was 25 at the time in 2013, suffered serious mental issues as a result of Rose’s absence and they drove him to start eating like a horse, which in turn made him obese. He tried to sue Rose directly for not turning out on court immediately on recovery but was rightly awarded nothing. We all feel for you Thompson, genuinely we do. Five years ago, Chicago Blackhawks keeper Corey Crawford was accused of assaulting a LA Kings fan. Clark Wong suffered “serious irritation” to his eyes and the suffering only ended after seeking medical attention. So, what on earth did Crawford do? It must have been bad, right? Wrong. Crawford is alleged to have squirted him with water from drinking bottle – imagine the pain. Wong’s claim was that it was in fact Crawford’s saliva in the water where he’d been drinking it that caused the reaction. Unfortunately, for Wong, other people managed to maintain their vision and saw him ejected later in the game for hurling abuse. Still, if Crawford wants to take up wrestling or boxing one day, he has a name ready to go ‘Corey “The Cobra” Crawford; failing that, maybe the Avengers could do with another superhuman to help them out. If you play eSports, sporting events that are played worldwide over the Internet and computers, you may realize how fun these actually are. Some of the largest include League of Legends, Counter-Strike: Global Offensive, and Overwatch to name a few. There are millions of people that have played these games, and some of them can become very competitive. They will have tournaments, ones that will bring in players from all over the world, that will compete against each other. Although most people do play these for fun, there are those that want to be the best, and they do so because of the prizes that they can win. They have what are called prize pools, with DOTA 2 international having one that has exceeded $20 million, making this both a fun and lucrative hobby that many people participate in. As a result of all of the money that is involved with these games, legal issues are bound to arise. There are not only challenges for players, but eSports lawyers are now coming under fire more than ever before. Here are some of the common challenges that eSports lawyers will often face when they are representing different players worldwide. Why Can You Earn Money Playing ESports? Most of the legal issues revolving around eSports has to do with the money that you can earn. You are able to earn this money by playing in competitions. The money is generated from people that are using these games to promote their brands, and also to do advertising. When eSports first came out, they were simply games that people played. However, they have slowly become a billion-dollar industry. People are able to pay for tokens, or whatever currency is part of that game, to move up different levels. Additionally, there are savvy players that actually offer their services to level up players in these different games. These are most of the reasons that eSports can deal with a vast amount of money, and when there is that much money involved, there are likely to be legal issues. As these games have become more popular, and subsequently more lucrative, many countries have tried to create what is called eSports governance. These are the rules and regulations that they would like to set in place to monitor how these games are played. They are not concerned about the players, or the strategies that they use, but the money that is often associated with these games through advertisements, paying players, and all of the betting that does occur which can total millions of dollars for many of the tournaments that are played. The legal issues will involve players that are not happy with the payments they are receiving, or people not paying players after an agreement. These are issues that lawyers will have to contend with, but until specific laws have been drawn out and are legalized, there will often be anarchy in the realm of eSports until these laws are mandated. There are three large problems that eSports lawyers will have to contend with on a regular basis. The first is going to be gambling, followed by investments that are made into buying and selling teams, and finally there will be issues with advertising and merchandise. These are problems that eSports lawyers will deal with, but they can also face legal issues themselves. They may actually be sued by other lawyers, ones that are representing clients that will claim that they have done something to infringe upon the rights. For example, there could be a transaction where one particular team is purchased by a company, but that company decides to go back on the deal. They may blame the lawyer for not doing the paperwork properly, or acting quick enough to complete the transaction. Lawyers that face these problems often have to retain lawyers of their own, but because there are no definitive laws, it is hard to prosecute virtually anyone. That is why there is such an impetus on setting up distinct laws that need to be abided by, laws that lawyers can use in order to have a successful prosecution. In regard to the lawyers, these laws will also protect them. They can point to specific laws that are passed, once they are in place, in order to avoid legal problems. It is an emerging industry, and the lawyers that are now participating are the front runners. Based upon their experiences, and the litigations that they go through, they will eventually contribute to eSports laws that will help govern this ever-growing industry. What Could These Lawyers Be Sued For Currently? Some of the problems that lawyers are currently facing include being sued for misrepresentation. They may also be sued for taking bribes. 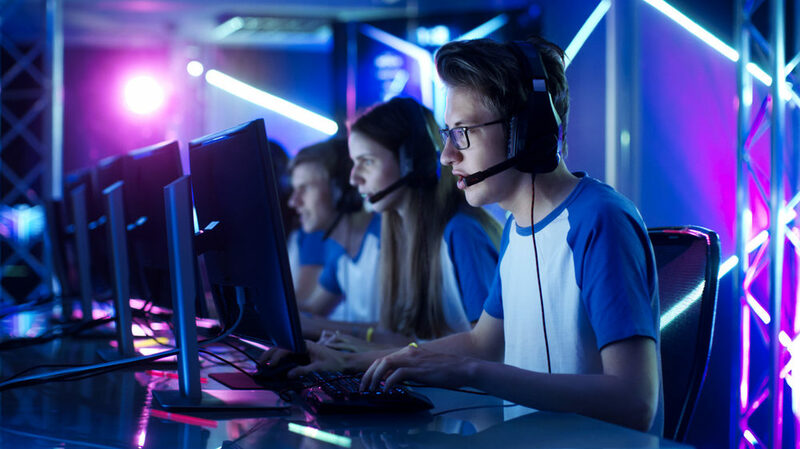 Although none of these charges may be true, it is due to the lack of continuity throughout this industry that makes it possible for lawyers to become financially liable by simply representing individual players, or entire teams, that are playing eSports today. In order to protect themselves, they are lobbying to create laws that will not only protect players, but all lawyers that will represent them. Until this is resolved, lawyers that do represent people that are in the eSports industry are likely to face litigation for various deals they are making. These are just some of the more common challenges that eSports lawyers will face. Although these will not happen to everyone, they are still a possibility. It is absolutely necessary that this industry become more regulated to protect everyone involved. Although people do not like change, these legal changes must be made for the benefit of everyone that is in this industry. If you are an attorney that is thinking about representing teams and players that do eSports, keep all of these potential problems in mind. You must be a savvy attorney to sift through the many different legal situations that can arise, and also protect yourself from litigations against you that could potentially happen.